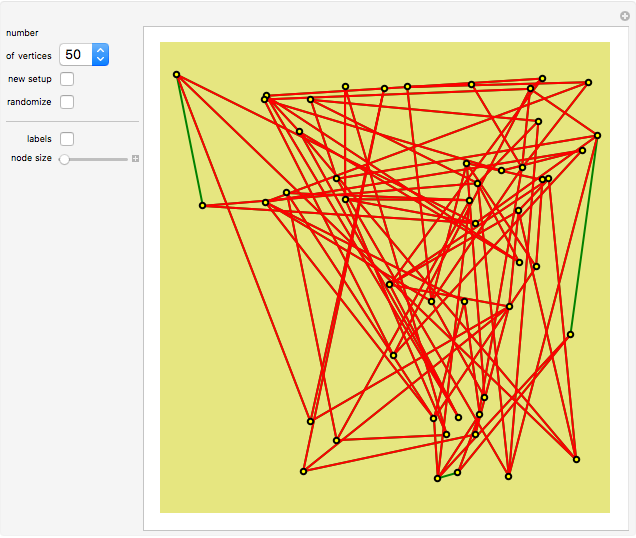 Drag the locators until all lines are non-intersecting (green). 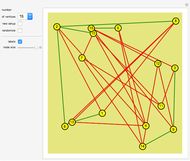 This may not be hard with 10 nodes, but it can be quite a task with 30 or 40 nodes. "number" controls the number of nodes in the diagram. Click "<==" or "==> to select the previous or next amount of nodes. "new setup" creates a new configuration of nodes and lines. The number of nodes stays the same. 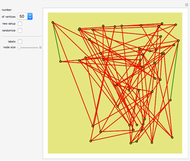 "randomize" randomly shuffles the nodes, but keeps the associated lines. E.g., if vertex 1 was connected to vertex 2, this will also be true after the randomizing. 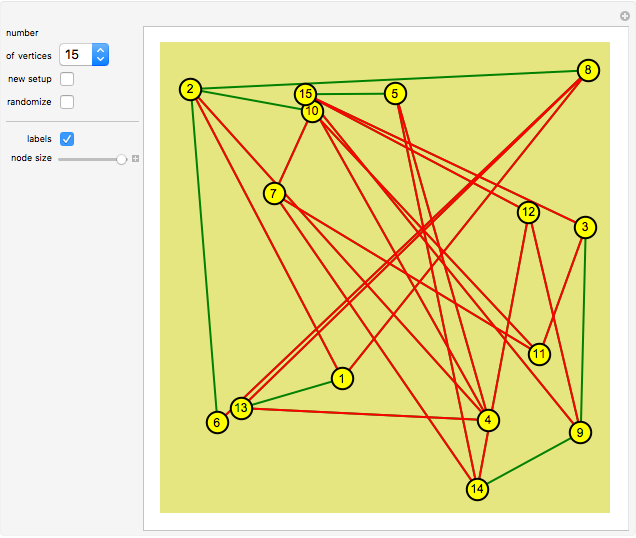 "labels" displays the sequence numbers of the nodes. "node size" controls the size of the locators. 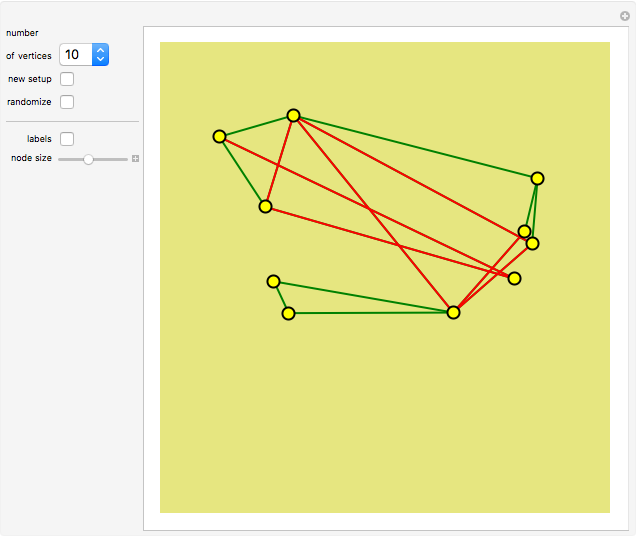 "show midpoint" triggers the midpoints of all lines to be shown. "midpoints size" controls the size of the midpoints (displayed as black dots). Karl Scherer "The Ray Puzzle"